Fearless in their design, the Bold Collective always delivers originality and flair. 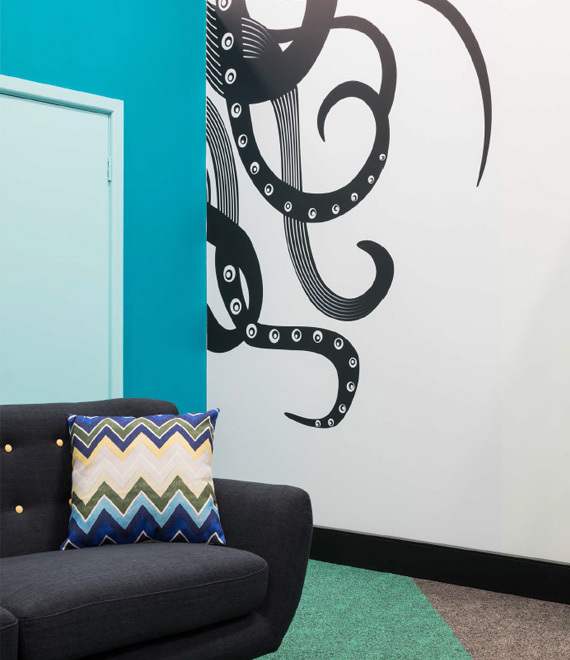 The Naval Base Innovation Centre is no exception, comprising a playful upgrade to the existing East Fleet spaces to promote collaboration and encourage creativity with the unifying graphics theme of the Kraken being woven throughout. 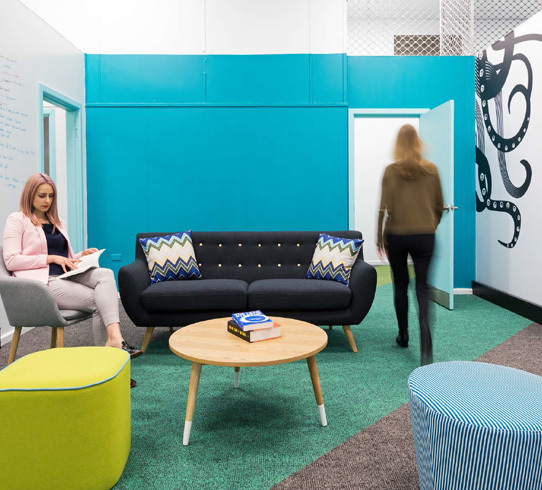 ©2018 Urban Fitouts Australia Pty Ltd.